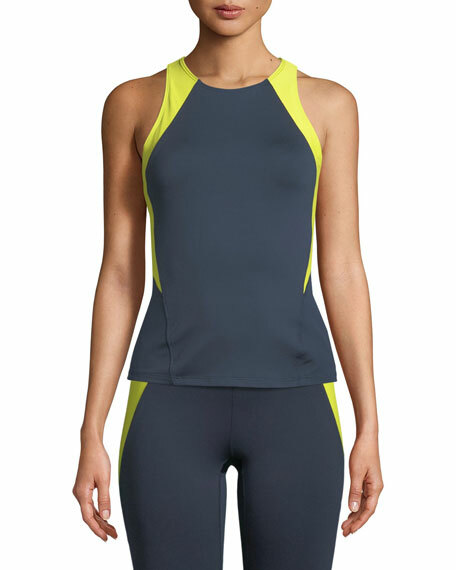 Heroine Sport "Olympic" performance top with contrast panels. Built-in mesh bra for extra support. For in-store inquiries, use sku #2466957.